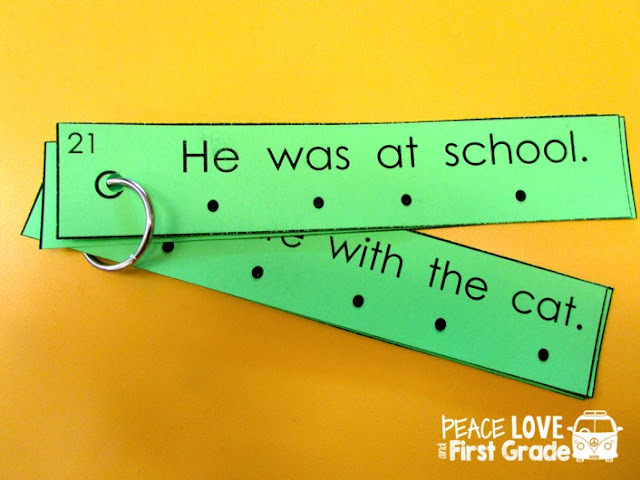 Does anyone else have a Love-Hate relationship with sight words? pulling teeth...that aren't loose...anyone else feel that pain? I've tried many, many different ideas over the years. 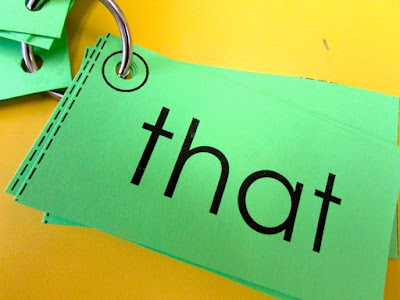 Finally, I feel like I have a solid sight word routine in my class, and I'd like to share it with you. 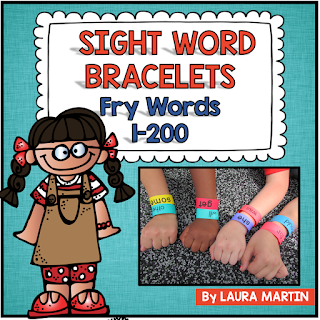 In my district, we use Fry Words when teaching sight words. 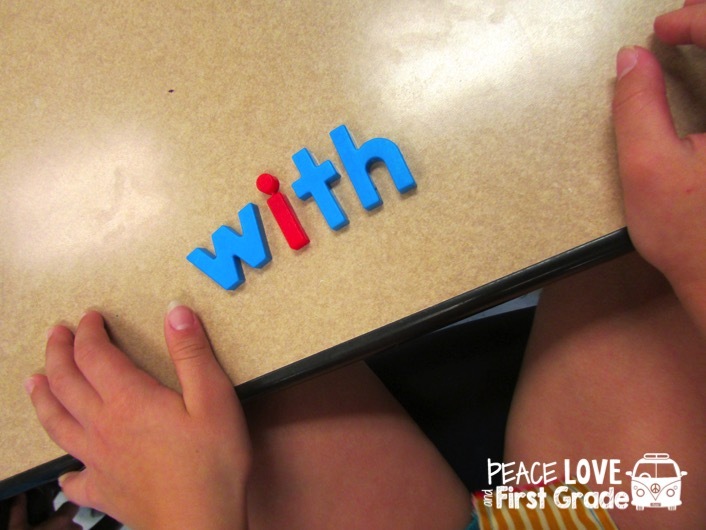 Each Monday, I introduce the words to students one word at a time. 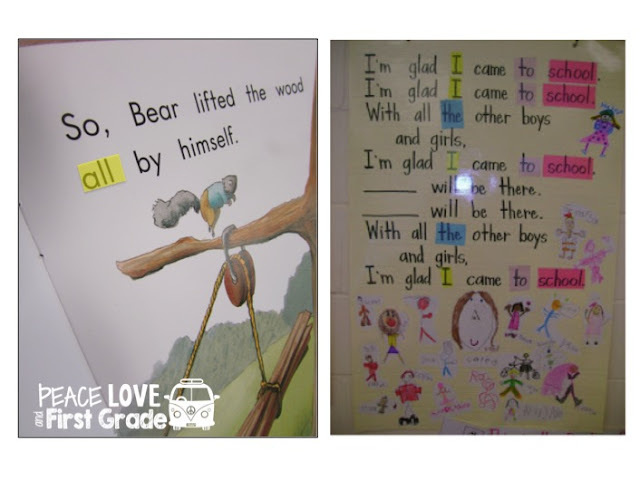 We cheer and chant and discuss what we notice about each word. I use large flash cards to introduce each word. Since we work on five words each week, we can target one word each day. 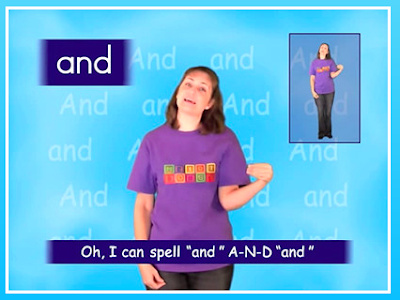 After introducing words, we learn the respective sight word songs! 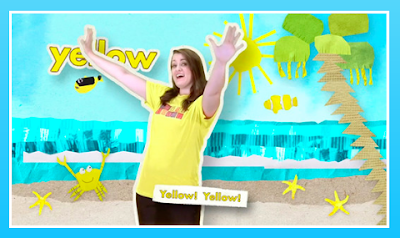 HeidiSongs get children up and moving as they learn sight words, color words, number words, sounds, and on and on! I LOVE these songs! I was thrilled last July to meet Heidi in person! Seriously a starstruck moment! She was such a genuinely kind person! I'm more of a fan now than before I met her! Anyway, her songs are addictive! You'll go to bed and wake up singing them! MULTI SENSORY folks! Yellow is one of my favorites! 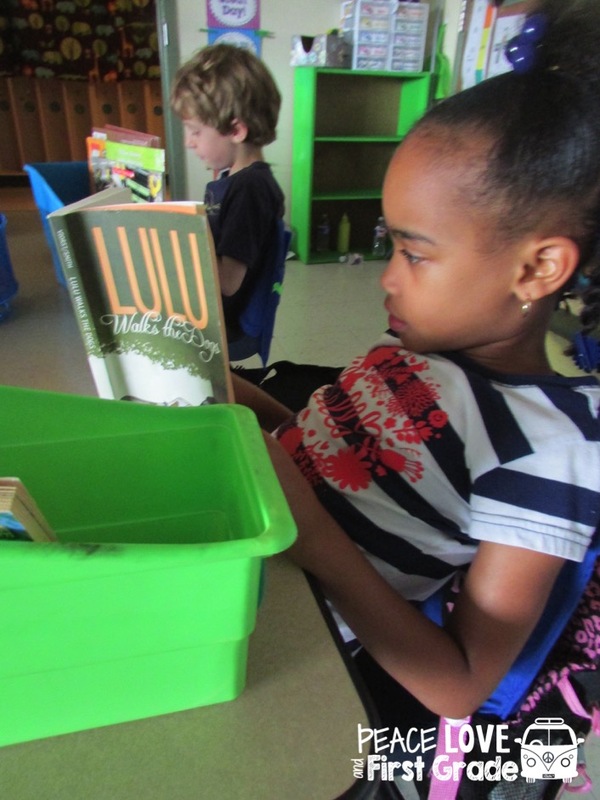 We spend time during guided reading lessons working on words! 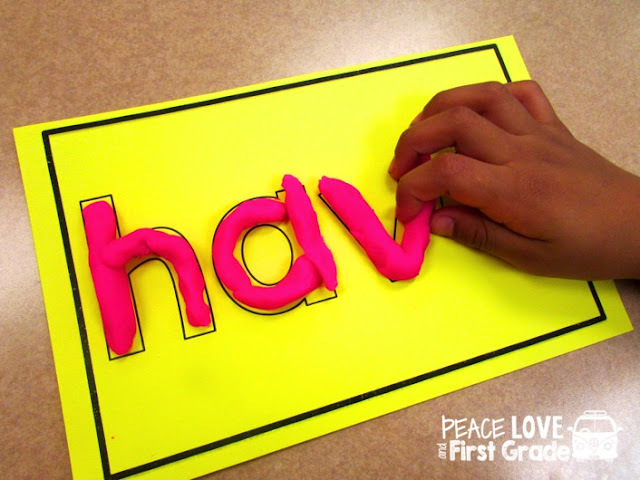 My love for magnetic letters is no secret. We use them each day. Mixing and fixing is one of my students' favorite activities. It's also a chance for me to observe any confusions kids are having with words. I'm able to address confusions right then! Great opportunity for informal observation! 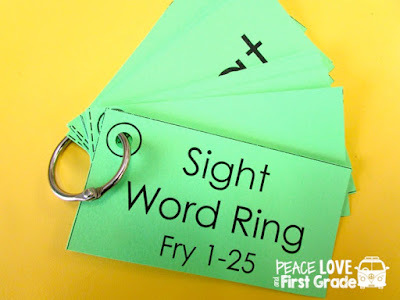 Each child in my class gets a word ring to use as flash cards. 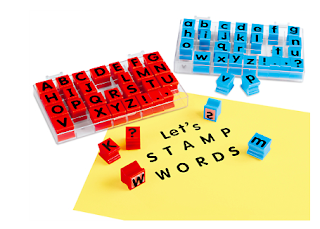 You can print the words on labels and attach them to index cards or just print on cardstock, then place the cards on rings. The students keep the rings in their book boxes. 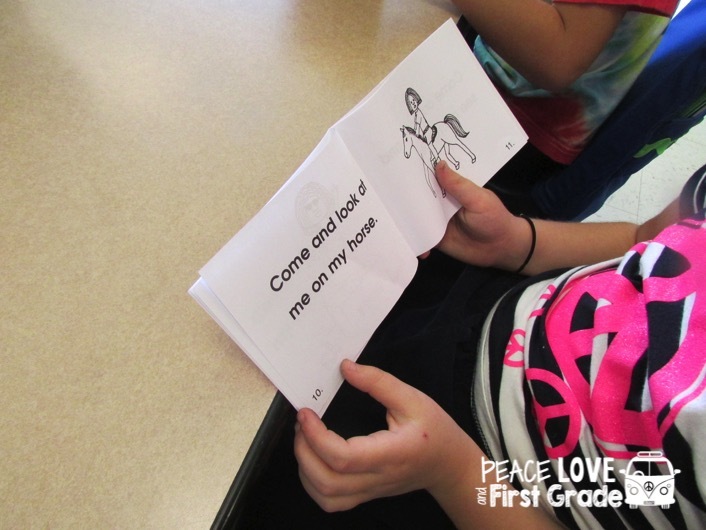 They read the words to partners or Upper Grade Buddies. 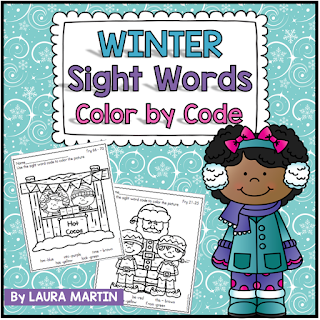 One thing I've learned about teaching sight words is children need to "over learn" each word. The words need to come automatically, much like letters or numbers. 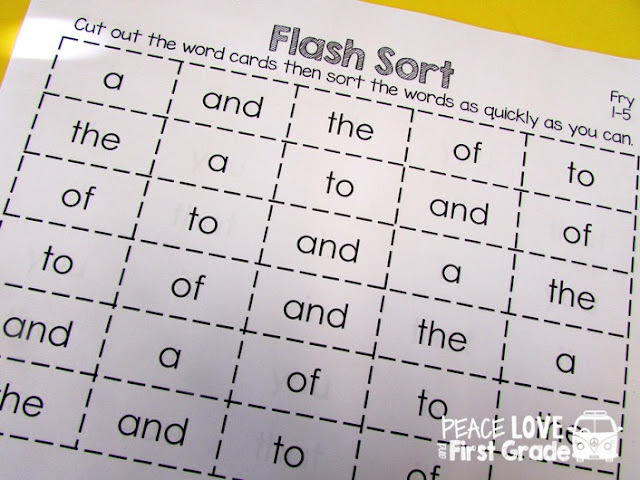 Sorting LIKE words seems like a very easy task, but for young children, seeing and reading those words over and over leads to that automaticity. 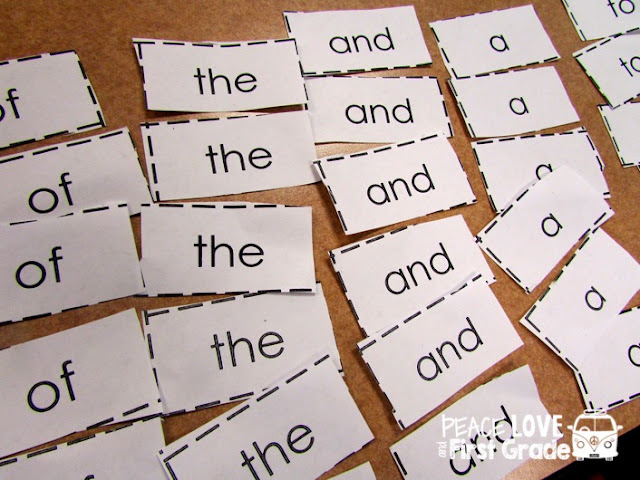 In this activity, students cut the words, then sort words by LIKE words, OR any other way you would like them to sort. 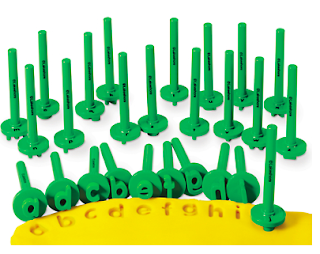 You may only want students to have one copy of each word and sort by number of letters, beginning sounds, etc. I always ask my littles who are struggling to sort by LIKE words. I suggest sorting the words 3-5 times. 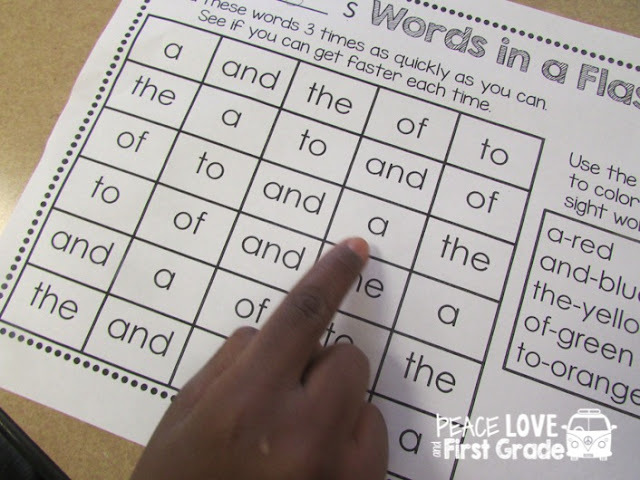 The more familiar the words are to children, the faster they can sort the words. They love the challenge of sorting faster as they time themselves. 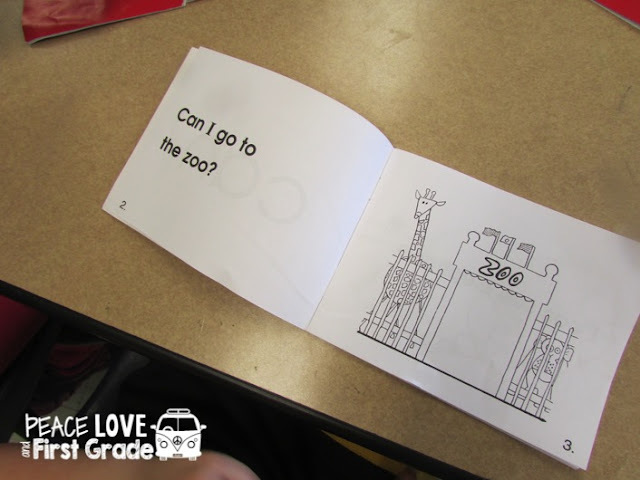 Each Friday, they sort then glue their words in their sort booklets. 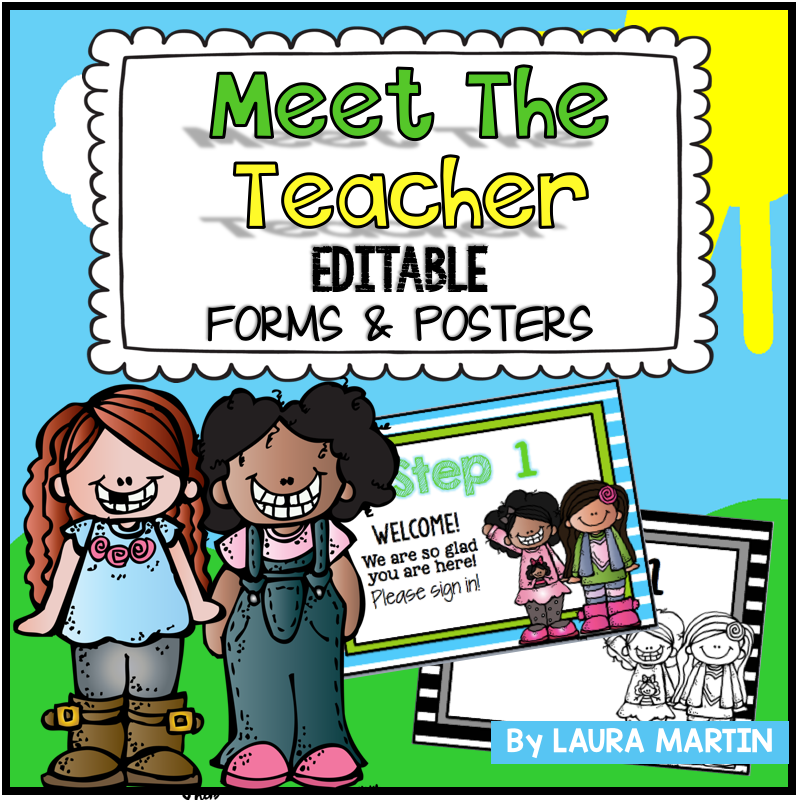 This activity goes home with students. 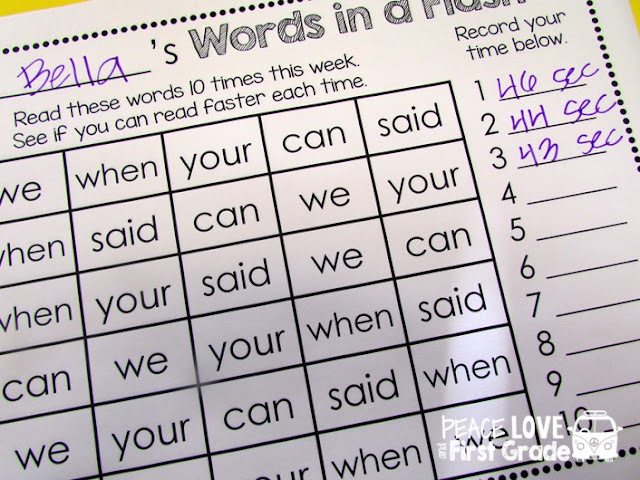 Sight words are placed on a grid, and students are asked to read the words as quickly as they can 10 different times throughout the week. Ideally, with their parents. That's the hope! 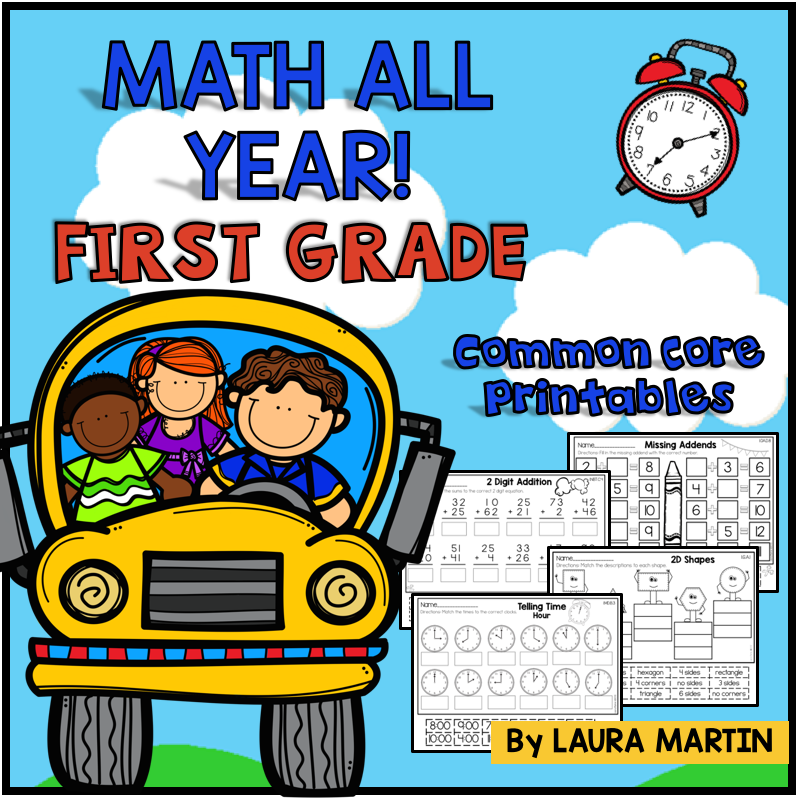 After each reading, parents (or other listeners) record the time it takes the child to read. *This is not an original idea. Teachers have been doing this for a long time. 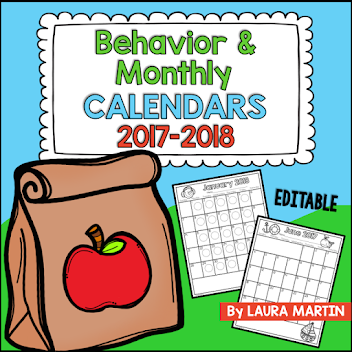 This pack contains the five words my kiddos focus on each week. 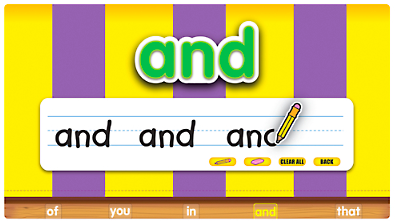 In this activity, students read their sight words to partners as quickly as they can 3 different times. 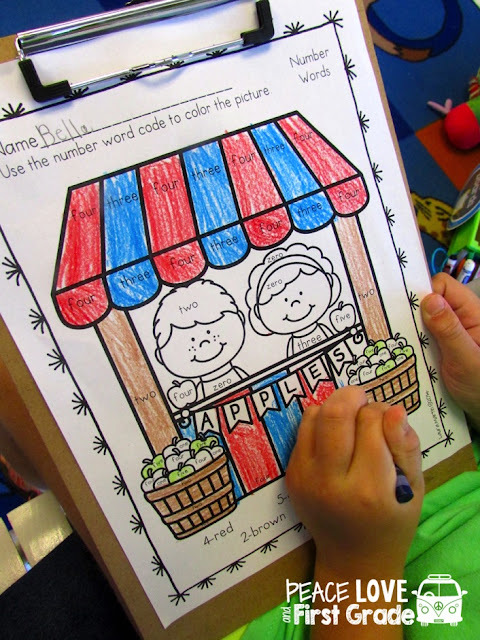 Then they use the color code on the page to color the words, saying each word as they color it. 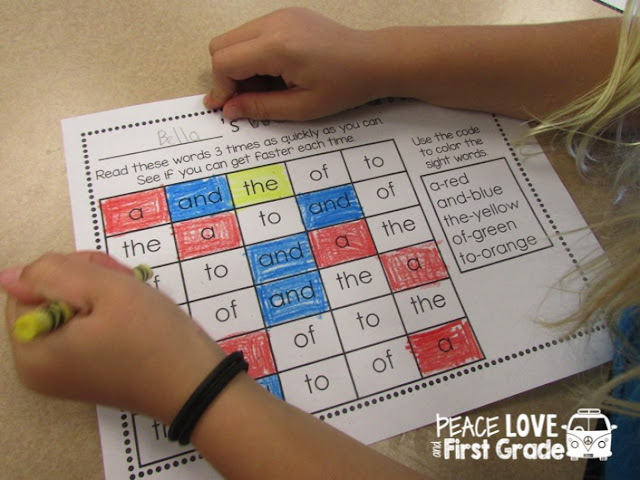 If students want, they can spell the words as they color, too. 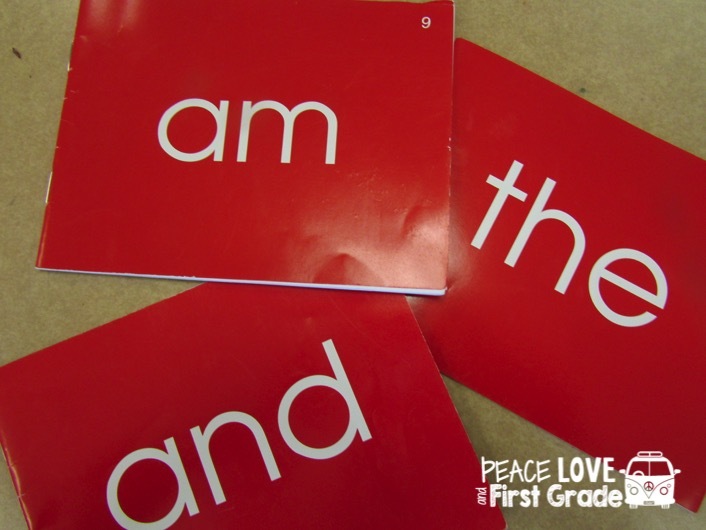 For this activity, I created a phrase or sentence using each word. These ARE NOT Fry or Dolch phrases. I love Fry phrases, but some of them are too difficult for beginning readers. 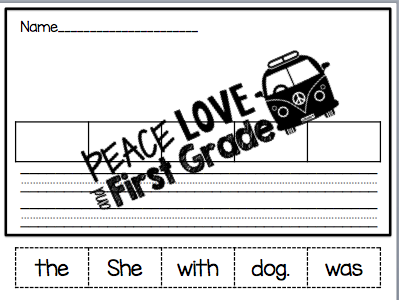 I wanted easy phrases for students to use while working on one-to-one and fluency. 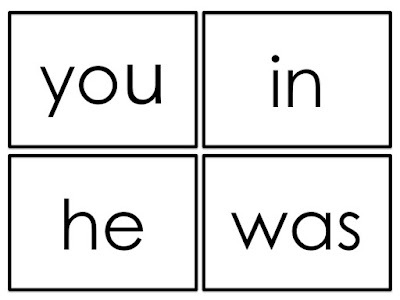 All of your students may not need these sentences. 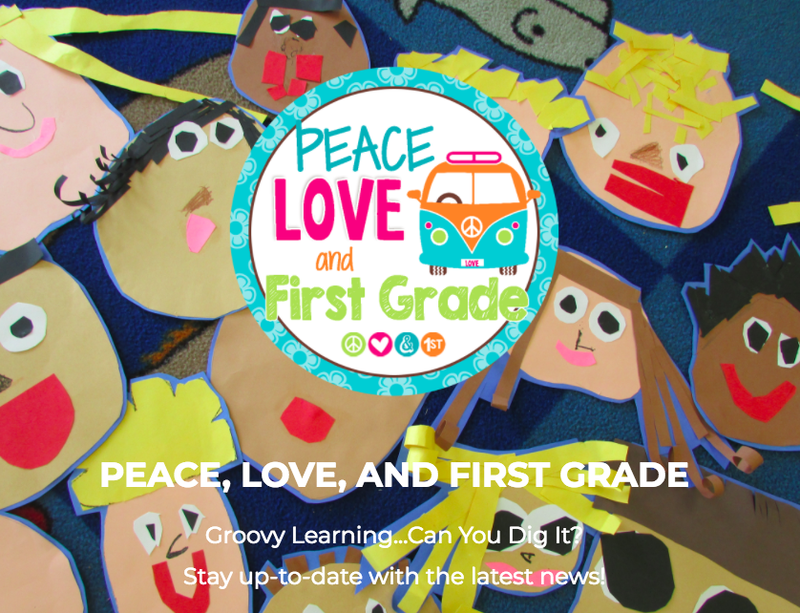 Many of my students struggle with one-to-one correspondence this year. I knew we needed a place for students to point below each word so I included dots for that purpose. I found these books one day while searching online. 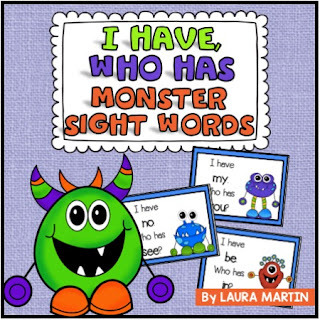 My Short Books are sets of books that target specific sight words and ARE NOT predictable. 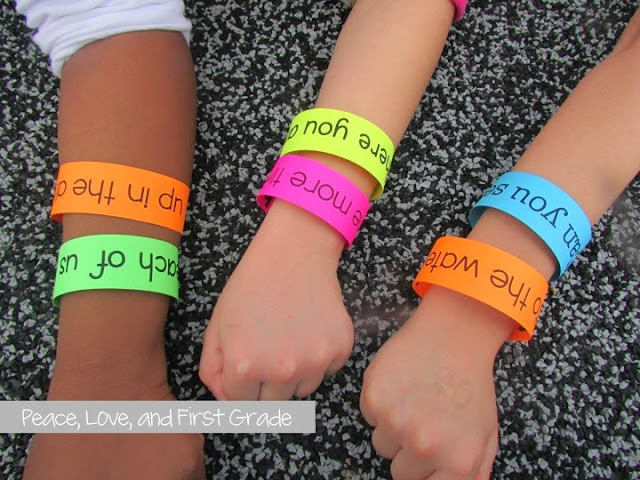 A former Reading Recovery teacher wrote them (which warms my RR heart). They are incredibly inexpensive, too! If you haven't tried them, you can find them here. 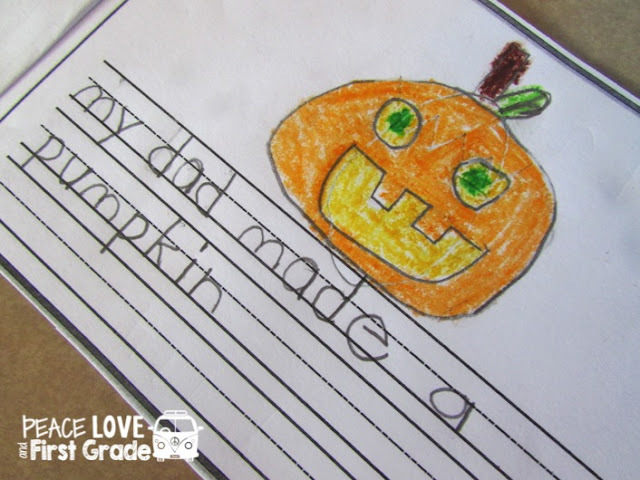 With all the practicing we're doing, I would be remiss if I did not hold students accountable for spelling sight words correctly in their writing. 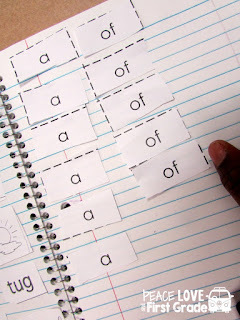 Easiest tip: Provide them with word dictionaries and encourage them to make use of the Word Wall and get them writing! AND provide them with as many opportunities as possible to just READ, READ, READ! 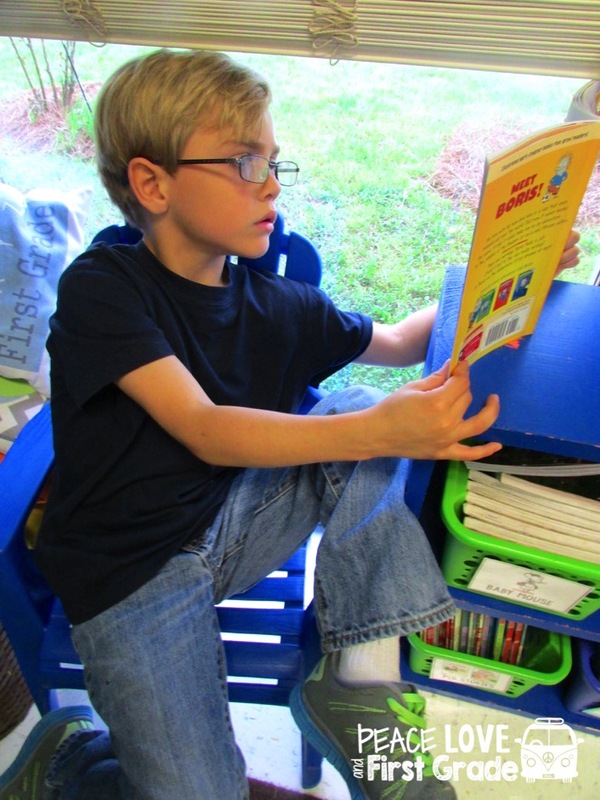 We all know the best way to learn words is to READ!! Do you know how much these pics make me smile?? They were completely engaged in their books!! What else can you do?? 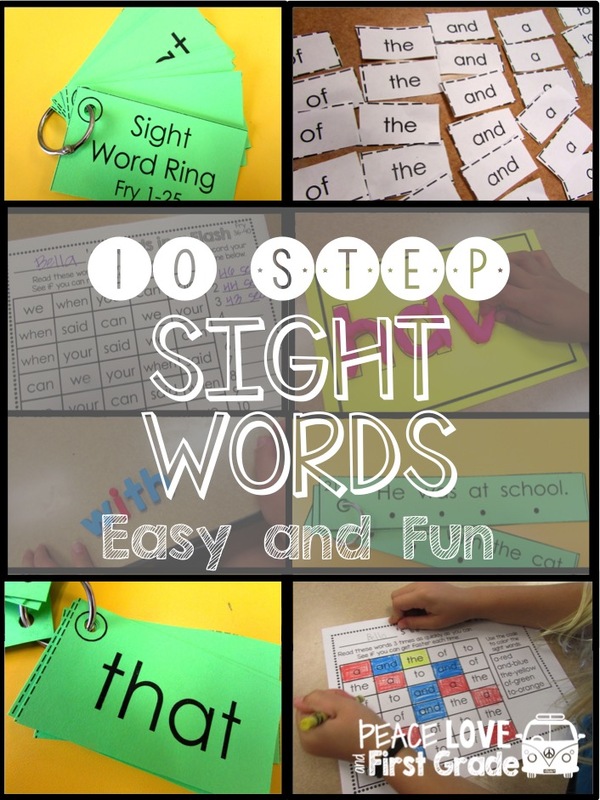 There are so many ways children can work on sight words independently. 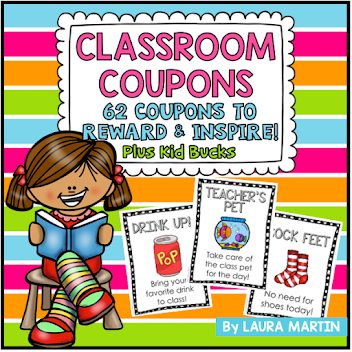 My kiddos love these on Friday afternoons! My firsties feel like big kids when they're allowed to use the highlighting tape! They get so excited when they find words in books and on charts! 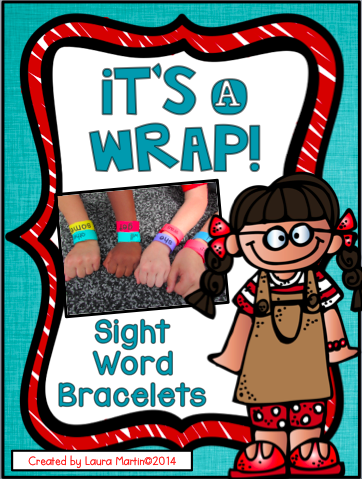 Kids love bracelets so what better way to review sight words than with bracelets? Just FYI: Cardstock works better than copy paper. Insert smile here! 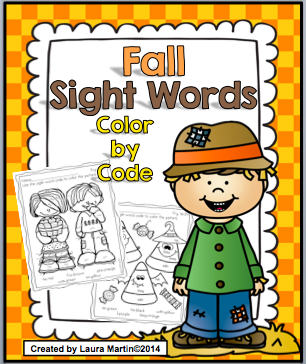 Just google or search Pinterest for sight words. There are bunches! 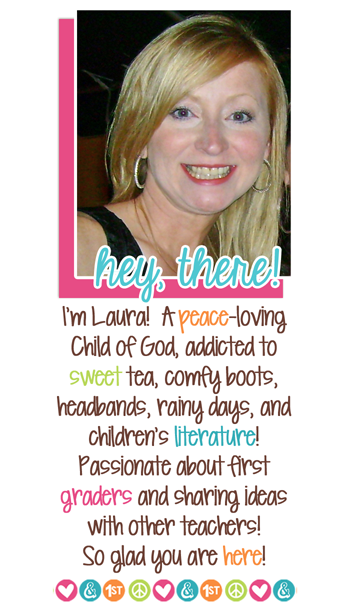 My friend, Emma, has a great list right here! 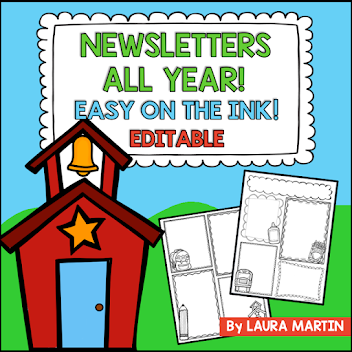 Kids love stamps in all their messy glory! We all know how important it is to practice reading words in context. 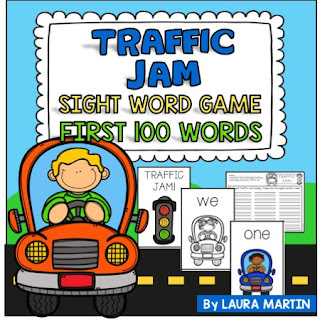 There are a ton of word games your kiddos can play: Memory, Musical Words, Bang-type games, etc. 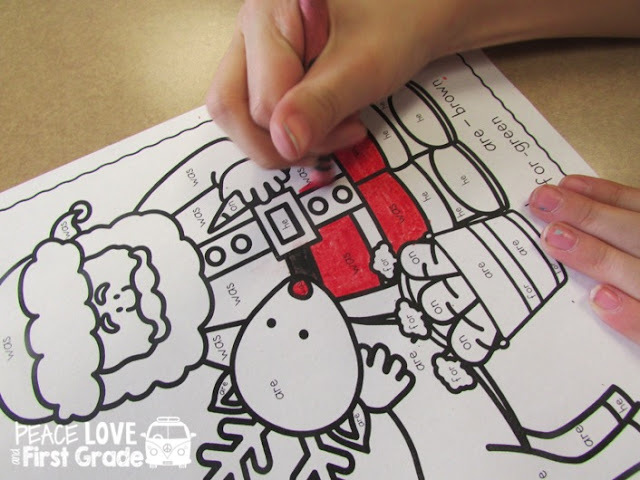 My kids love our seasonal games! 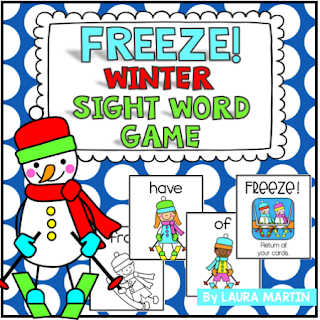 and here are a few of my other sight word activities! This one is a FREEBIE! Whew! That's a lot to process! If you're still here, thanks so much!